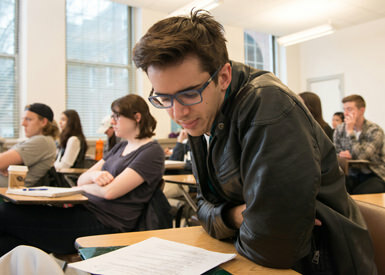 The success of Manhattan College is due in part to the support of those who want to give students the chance to have a first-class, values-grounded education. Unfortunately, tuition alone does not cover the entire annual cost of a Manhattan education and the life-changing co-curricular opportunities that are a vital part of this experience. Gifts to the Annual Fund address this gap, in addition to providing financial aid, enriching student services and activities, and enhancing academic programs and facilities. With your help, we can continue to ensure that our students not only receive an excellent education, but that they go on to make a difference in the world. Please join us and make a gift online today! Alternatively, you can download the gift form and send by mail. For information about making a gift or becoming a class agent, please contact Kevin Brewer, Director of Annual Giving, at 718-862-7701 or kevin.brewer@manhattan.edu.